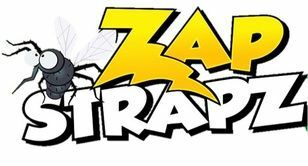 “Zap Strapz” bracelets are easy to wear, non-toxic bracelets scientifically designed to repel mosquitoes, black flies and other pesky insects up to and beyond 180 hours! , Phthalate/BPA Free, One size fits all! Zap Strapz are gently infused with 100% natural, plant based geraniol extract. They are designed to create a vapor around your body. They work in conjunction with the release of carbon dioxide from your body. and the infusion of oils to mask your body’s own odor. While protecting you, the vapor causes irritation to insects’ senses making them become disorientated. 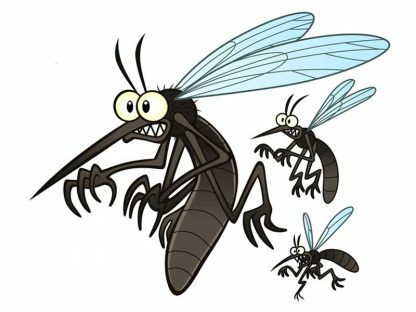 Our mosquito/insect repellent bracelets have a 1.5-meter radius and can be worn on your wrist or ankle, attached to your purse or backpack, looped onto a belt loop, wrapped around a fishing rod, the handles of a stroller, a camping chair, or opened and placed on your picnic table. As these bracelets are completely non-toxic they are safe for your children, dogs, horses or other pets too. To help ensure your Zap Strapz last for 180 hours place them back in their pod (or a Ziploc bag) when you are finished wearing them. Keep a case in your car, backpack or purse! Most repellents are easily diluted or rinsed off with swimming or perspiration, the Zap Strapz just keeps on working! These insect repellent bracelets are 100% DEET free, and have no added chemicals that could be harmful to humans. The Strapz are approved by US EPA standards Geranoil is an ingredient that has a GRAS (generally regarded as safe) status, and therefore are considered safe for public use. NOTE: Allergic reaction may occur in people with sensitivity to flower fragrances, floral extracts or essential oils. As with any essential oils, keep away from eyes, rinsing with water if contact happens.